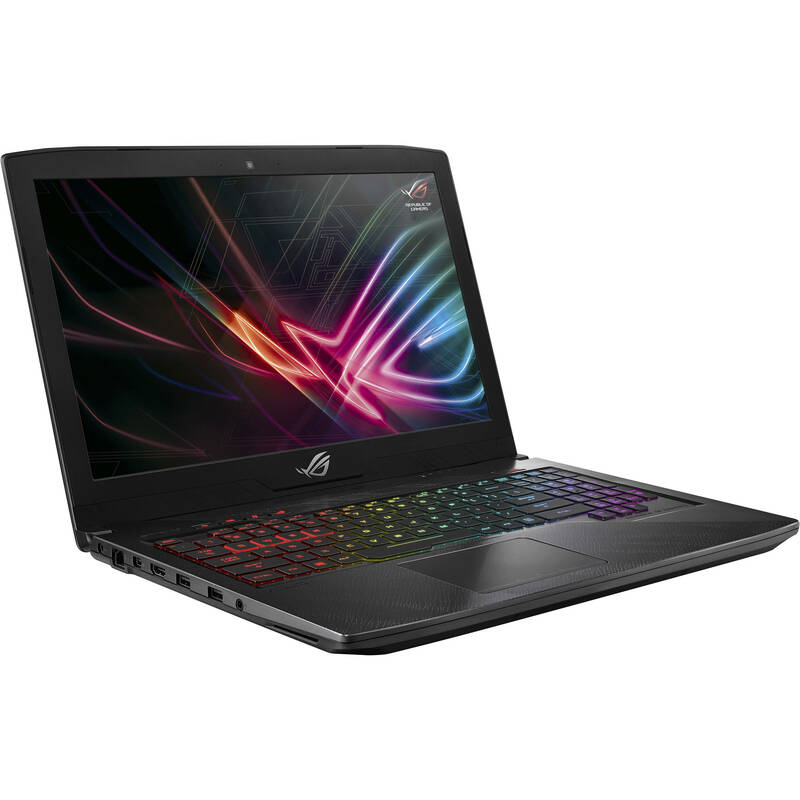 Box Dimensions (LxWxH) 16.9 x 12.5 x 12.4"
15.6" Republic of Gamers GL503GE Strix Hero Edition Gaming Laptop is rated 4.0 out of 5 by 1. Rated 4 out of 5 by Khaled Mohammad from Annoying sound So far working good, but it makes annoying sound from fan which i didnt like. No, this would not have a Spanish keyboard with the &quot; &ntilde;&quot; key. Can you upgrade to Windows 10 professional? Yes, the best and fastest way would be to upgrade it on the computer in the Windows setting. can the HDD be replaced by SSD? How easy is it? Will it void the warranty? Yes, physically it can be replaced fairly easily, however migrating the Operating System is a bit more involved. You won't be voiding any warranty if you are not removing any attached internal parts that would be soldered in, for example.